Standing in the courtyard of Estate Tuscany at the opening of the Hermitage Road Cycle Way on 30th August 2017, I mentioned to George Souris, Chairman of the Hunter Valley Wine and Tourism Association, that we were overlooking the old Rothbury Estate owned by David Scott Mitchell (1836-1907) of Mitchell Library fame. Mitchell was Australia’s greatest book collector and a generous benefactor to the state of NSW. 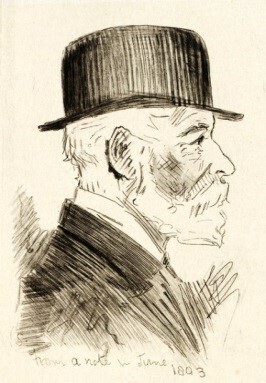 Indeed, the breakup and sale of the Rothbury Estate in 1909 were done to raise money for Mitchell’s extensive collection in the Mitchell Library. George told me that he is presently Chairman of the Library. The Mitchell Library today is a Sydney landmark and has a magnificent reading room. The Mitchell collection is one of the most pre-eminent collections of books, manuscripts, pamphlets, trivia, maps, and pictures relating to Australia and the Pacific. Anything Australian was important to Mitchell. I have often used the reading room in the library while looking up historical facts about the Hunter, including E Ramsden’s accounts of James Busby and the maps and records of John Shortland’s discovery of Hunter’s River. 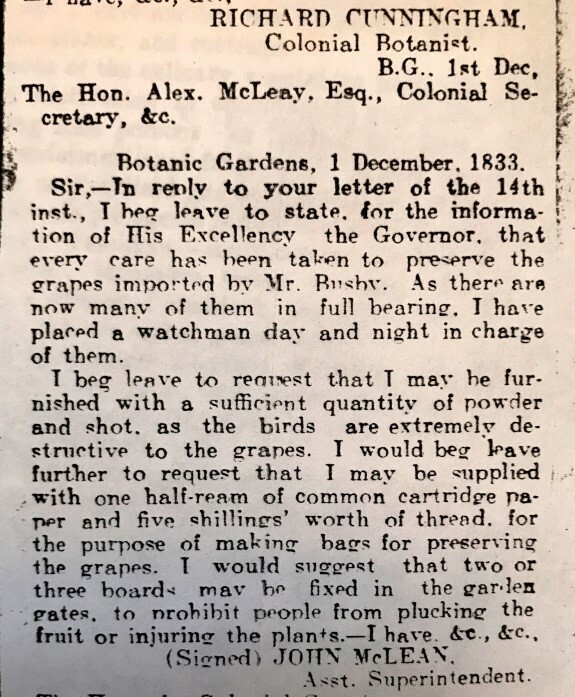 One interesting record I found was a request for powder and shot for use to protect the Busby collection of grape vines from birds and that boards be placed to stop people plucking the grapes! So who was Mitchell, after all, there are several mentioned in the early days of the Hunter including the important surveyor and explorer Thomas Mitchell? David Scott Mitchell was born in Sydney in 1836, the son of Dr. James Mitchell a Scotsman born in Fife, who joined the Army Medical Corps in 1810 and saw active service during the Napoleonic Wars in Europe and America. He accompanied the 48th regiment to Sydney, finally settling here in 1821. Mitchell transferred to the colonial Medical Department in 1823 and was posted to Sydney hospital where he became head Surgeon in January 1829, a position he held until 1837. James Mitchell was a successful surgeon and investor, and he set out to acquire land in the Hunter Valley, not for its grazing or farming potential but for its coal mining possibilities – the landscape reminded him of the Fifeshire coal fields of his native Scotland. 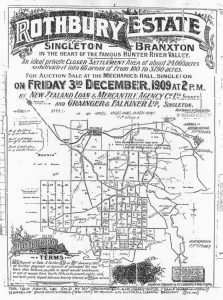 His intuition proved correct and ultimately he owned thousands of acres of what became the Hunter coal fields, stretching from Burwood on the coast south of Newcastle, through Rothbury and Cessnock to Muswellbrook. 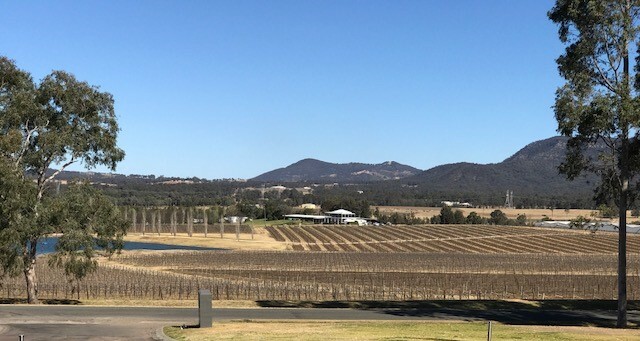 When his father died David inherited part of his estate, some 50,000 acres (200 km²) in the Hunter River Valley which included rich coal-bearing land as well as The Rothbury Estate. This inheritance allowed him to pursue a life of collecting without the need to really do anything else! Growing up in Sydney, aged 16, David became one of the first seven undergraduate students in the newly established University of Sydney in 1852. He won scholarships in mathematics and graduated with an Arts degree in 1856 with honours, and subsequently a Masters which led him to be M.A., called to the bar but he did not practise law. Initially, he became a book collector but by the 1880’s concentrated on collecting Australiana, with the goal of collecting a copy of every single document relating to Australia, the south-western Pacific, the East Indies and Antarctica. Truly a product of the enlightenment Mitchell wanted the people of New South Wales to benefit from his collections. As always dealing with the government can be difficult and their slow response, at one stage, led him to suggest the collection go to Sydney University. However, construction of the building to house his collection commenced in 1906, one year before Mitchell’s death on 24 July 1907, and his entire collection was bequeathed to the library trustees with an endowment of £70,000. The residue of his estate of £261,000 went to his sister Augusta, wife of Edward Christopher Merewether. The Mitchell Library officially opened on 8th March 1910. 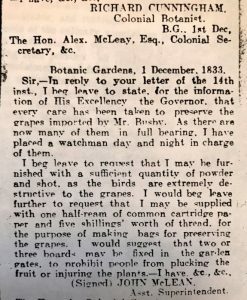 The auction notice for the sale of some 24,000 acres of land known as the Rothbury Estate in 1909. 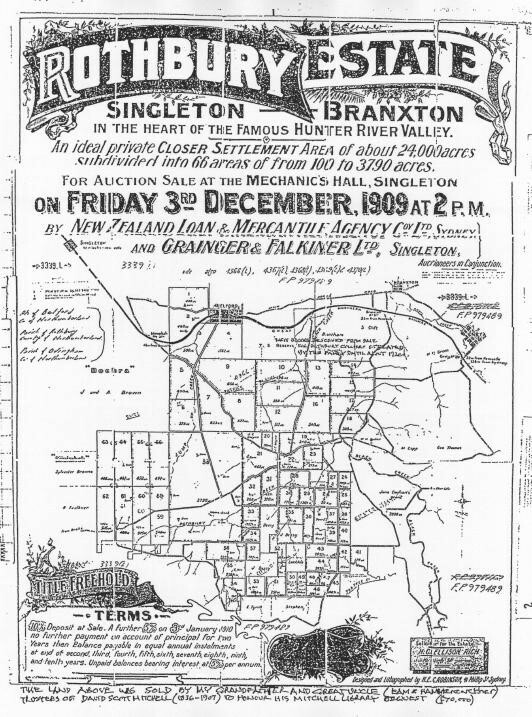 The boundaries go approximately from Broke Road south to Branxton in the north and MacDonald’s road to the east and to what is now the Singleton Army base in the west. Hermitage Road, Deasys Road, and Old North Road are included in the property. Interestingly, the Rothbury Estate of Len Evans fame actually lay outside the boundaries – Evans told me he rather liked the name and used it! It was divided into some 66 “areas” ranging from 100 to 3790 acres. This in effect freed up much of the land for subsequent development and encompasses the “Around Hermitage” area. Great to know the Hunter Valley had a role in making it possible! © Around Hermitage Association Inc.